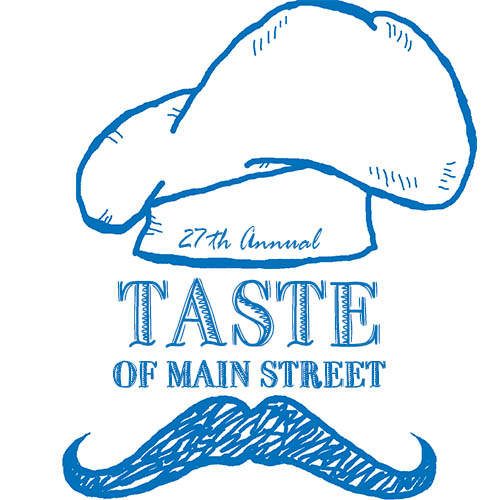 Taste of Main Street, a fundraiser for Eureka Main Street, will be held on Thursday, May 9, 2019 from 5-8p.m. throughout Downtown and Old Town, Eureka. Taste of Main Street offers a chance to sample food from 22 local participating restaurants and food producers. Free shuttle service available. The 27th annual Taste of Main Street will be held on Thursday, May 9, 2019 from 5-8p.m. throughout Downtown and Old Town, Eureka. Taste of Main Street offers a chance to sample food from 22 local participating restaurants and food producers, including: Sixth and E Eatery, Humboldt Cider Company, Delish on 5th, College Ball Cake Balls & Treats, Old Growth Cellars, Cypress Grove Chevre, Lost Coast Brewery, A Taste of Bim, Humboldt Bay Coffee, Oberon Grill, Kenny’s Chocolates, Old Town Coffee & Chocolates, The Grind Café, Shamus T Bones, Kyoto Japanese Restaurant, The Madrone Brick Fire Pizza & Taphouse, Ramone's Bakery & Cafe, Los Bagels, Chapala Cafe, Gallagher's Irish Pub, Jack’s Seafood and Vista Del Mar. Live music will be featured at many venues during Taste of Main Street. Free shuttle service is provided to outlying locations. Following Taste of Main Street is The Kick Off Dance at the Adorni Center. This event kicks-off the 29th annual Redwood Coast Music Festival, May 9 – May12. The Kick Off Dance is from 7:30-10p.m. and features the music of The Hot Baked Goods w/Clint Baker. For tickets and information regarding the Redwood Coast Music Festival and The Kick Off Dance, call 445-3378. For more information about Taste of Main Street, contact Eureka Main Street at 442-9054.